Released in 2006, the 1/10 R/C 4×4 Pick-Up Truck Ford F-350 High-Lift has been exceptionally well-received by fans around the world. With the release of this new Multi-Function Unit, Tamiya kicks up the realism another notch with light, sound, and vibration effects all controllable via a 4-channel transmitter (sold separately) to make the F-350 even more impressive. This entry was posted in Future Releases on February 12, 2007 by admin. This entry was posted in Media on February 7, 2007 by admin. This entry was posted in Future Releases on February 5, 2007 by admin. It has been a long time in coming, but Tamiya has heard the demand from fans around the world and is now proud to present award-winning truck maker Scania’s state-of-the-art R470 Highline as the newest addition to our unique 1/14 scale R/C tractor truck series. 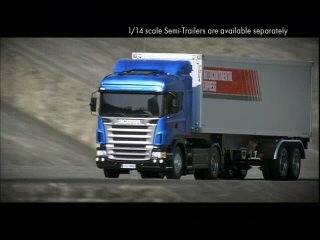 Swedish manufacturer Scania has a long history of producing exceptional trucks designed for long-haul transport. The company’s R-series made its debut in 2004 and quickly built a highly favorable reputation that led to it being given the prestigious International Truck of the Year award in 2005. 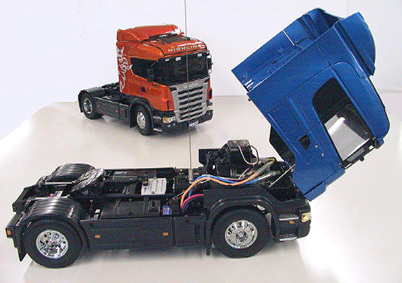 1/14 scale electric R/C assembly kit of the Scania R470 Highline. Faithfully reproduced cabin tilts forward separately from fenders, just like on the full-size truck. Fender interiors and exteriors are fully depicted for the ultimate in accuracy and realism. Kit-included coupler enables use of any of Tamiya’s currently available 1/14 scale trailers. Includes assembly type 3-speed transmission. Use of separately available 4-channel transmitter allows gear shifting during running. 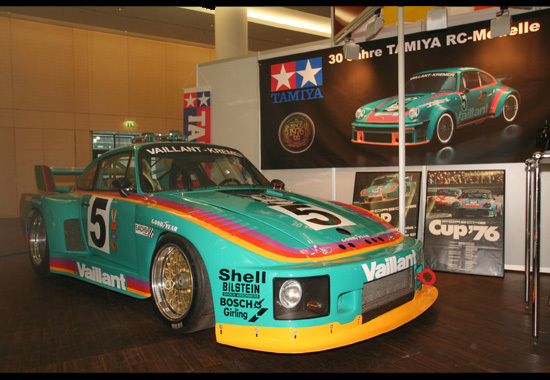 Front and rear suspension consists of metal leaf springs and coil spring dampers. Durable die-cast metal front axle is float mounted on leaf spring and damper. Resin rear axle features differential gear. Propeller shaft transmits power from front mounted motor to rear wheels. Pin type propeller shaft joint reduces friction loss. Separately requires battery, charger, and transmitter (4-channel transmitter highly recommended). 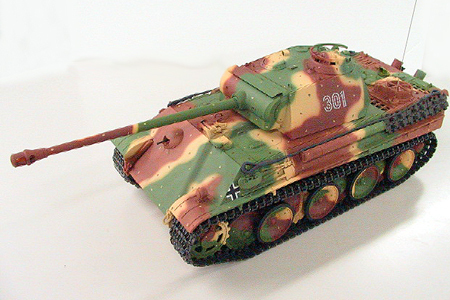 Tamiya’s peerless 1/16 R/C Tank products are the ultimate in realistic indulgence, and with the German Tiger I and King Tiger already released, it is only natural that we now add the famous Panther Type G to the lineup. Tamiya staff even visited the renowned collection of the Musee des Blindes in Saumur, France in order to create the most accurate Panther sounds possible. Pit it against the previously released US Sherman and Pershing tanks on your own mock battlefield. Install ITEM 53447 1/16 R/C Tank LED Battle System (sold separately) for exciting 1-on-1 or team battles with other similarly equipped Tamiya R/C tanks. 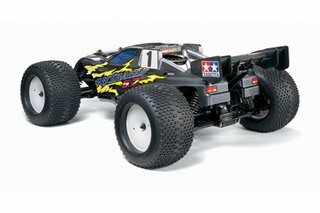 4-channel R/C system, Tamiya Ni-Cd 7.2V battery, and charger are required (sold separately). Made popular by the previously released Mini Coopers and the Swift S1600, the M-03 chassis is also currently being used in the “Mini-Sports” category of the Tamiya Grand Prix. 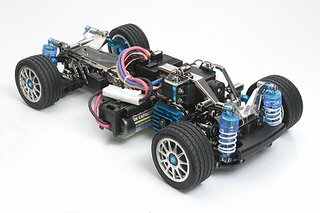 Tamiya now answers our fans’ requests and announces the release of a high-performance race version of this chassis, which is packed with new special parts that are only available with this kit. 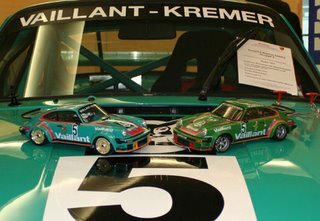 Kit can be used to build one of three different versions featuring the following different wheelbase lengths: M-03 (210mm), M-03M (225mm), M-03L (239mm). Newly designed front & rear lightweight aluminum uprights. Race-ready CVA dampers come in a limited edition clear blue color only available with this kit. Special all-white TRF damper springs (soft to hard) allow customization according to the circuit. All aluminum parts, including the M-03R-only motor heat sink and servo mounts, are made from durable blue anodized aluminum to add color highlights to the chassis. High-grip 60D radial tires mounted on chrome wheels included. R/C system, ESC, battery, body, and motor are sold separately. Introducing Tamiya’s new 1/8 R/C Truggy, the Nitrage. This high-performance Ready-To-Run model is packed with innovative features that no other machine in its class has. Modular construction means effortless assembly and convenient maintenance, with all the internal components mounted on a high-strength, press-molded aluminum deck. Servos are directly connected to the fully-enclosed gearboxes to ensure consistently smooth operation and minimal interference. 4-wheel independent suspension with large oil dampers, aluminum slipper clutch, and high-density spike tires mounted on large dish wheels lets it tackle any terrain with ease. The aggressive body and distinctive rear wing matches the “Nitro Rage” image perfectly and will make it the instant center of attention wherever it goes. The Nitrage is equipped with the formidable FR-32FX 5.2cc engine that features a large diameter slide carburetor, 14mm diameter crank shaft, lightweight piston, and large heat sink head. The FR-32FX is matched with a 150cc large capacity fuel tank to provide ample driving endurance. Powered by this monster engine, the Nitrage with standard 1-speed transmission is capable of speeds of up to 60km/hr (approx. 37mph)! Off-road racing often means dirt and grime accumulating on the vehicle and interfering with maintenance, to say nothing of all the work you have to do to clean up afterwards. 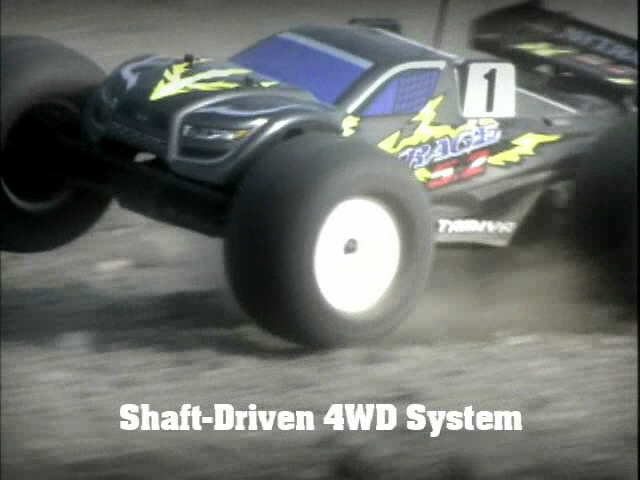 Our designers took this into account when creating the Nitrage and separated the vehicle into 5 major components: Front Gearbox (with steering servo and front suspension), Center Gearbox (with throttle servo and disc brake), Mechanics Box (with fail safe equipped receiver), Engine with Fuel Tank, and Rear Gearbox (with rear suspension and wing). Each of these can be individually removed from the chassis for easy maintenance and cleaning. All 5 components rest on a special high-strength aluminum deck, a pioneering feature for this class, that was press-molded to ensure structural rigidity. 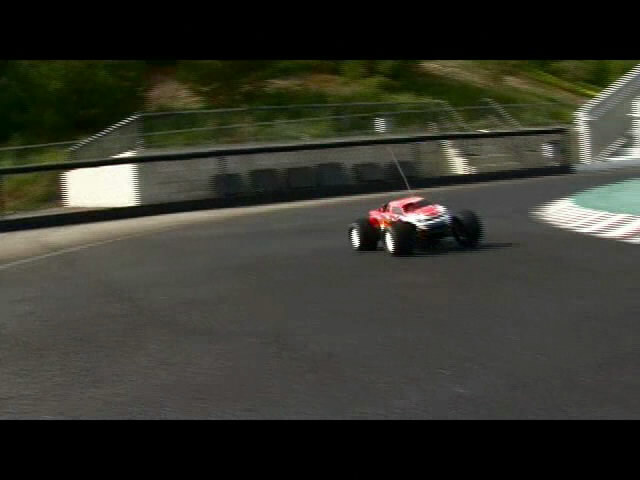 Tamiya is the first to bring this special feature to the R/C world. Even the connection between the engine clutch bell and the spur gear are completely enclosed and protected from outside interference. As a result, all gears have constant stable lubrication and gear backlash is contained by the gearcase. This means the Nitrage does not need to resort to using any heavy and expensive steel gear parts, giving fans more modification flexibility. Furthermore, the differential gear on the Nitrage is doubly protected, first by its own durable case and then by a second enclosure formed around it by the front and rear gearboxes. This setup insulates the differential gear to prevent the suspension arms and shock towers from imparting stress on it (this is the problem with most makers’ truggy differential gears). 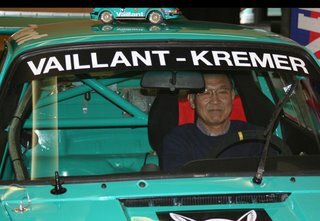 The Nitrage is equipped with the R/C world’s first flexible joint drive system, with the spur gear having a short dog bone linkage to the clutch bell, which helps reduce stress on the engine. 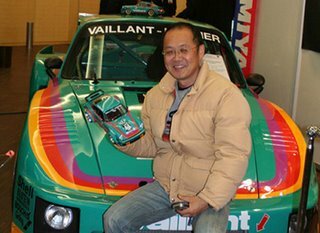 A durable lightweight aluminum slipper clutch to improve transmission efficiency is also included, which is another first in this class. 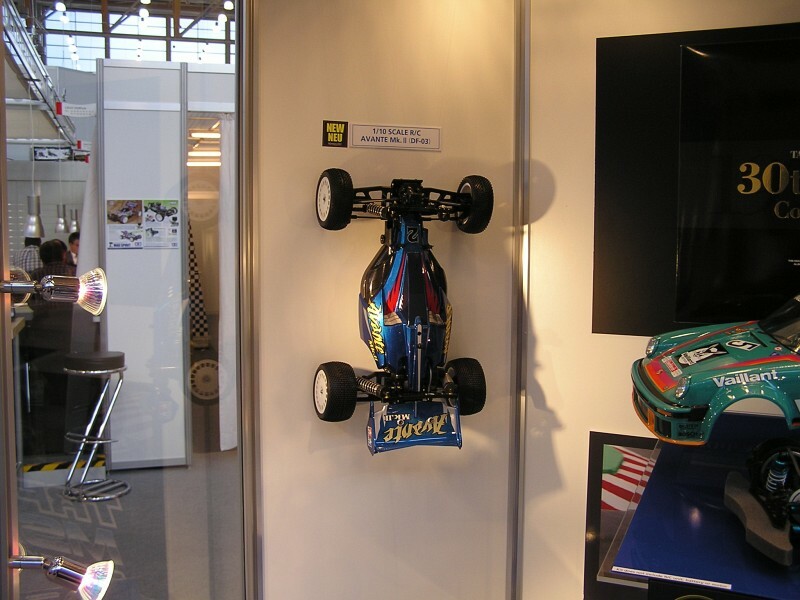 Truggies from other makers usually feature upper I arms for the front suspension, which offer flexibility but are lacking in structural strength. The Nitrage has specially designed upper A arms for the front suspension that allow flexible suspension travel without sacrificing strength. Colossal off-road tires with inner sponge feature an oval spike tread pattern that is perfect for driving on rough surfaces. Tires are mounted on large diameter dish wheels. 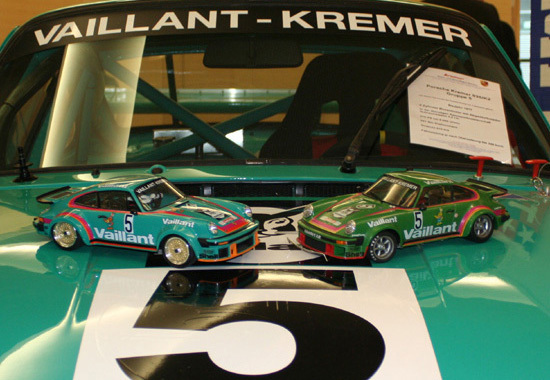 The large rear wing on the Nitrage is a double-split design inspired by those equipped on actual WRC cars. Catch pin attachment means the upper surface of the wing remains flat, adding to its stylish appearance. Since the wing is connected to the chassis and not the body shell, it clearly distinguishes the Nitrage as a Tamiya product even when the body is removed. The Nitrage features universal screw heads for most of its screws, which means all you need is the 2.5mm Hex Wrench to attach and remove them, making maintenance even more speedy (Note that there may be a few screws that require a 1.5mm or 2mm Hex Wrench). Tamiya Handy Starter and Glow Plug Heater are included for easy engine starts even for beginners (Handy Starter requires 7.2V battery pack, sold separately). 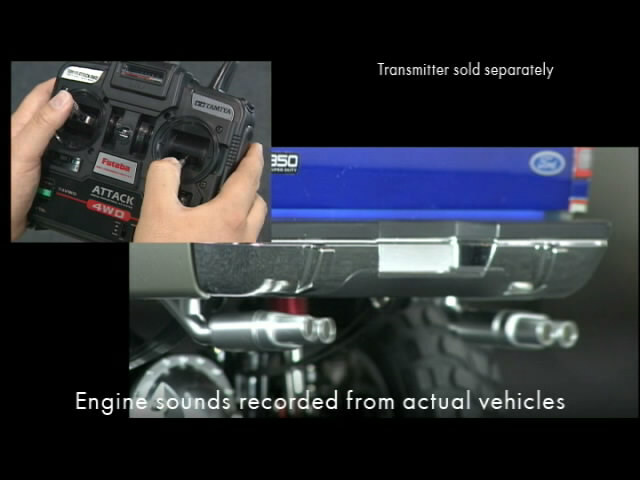 ADSPEC GP 2-channel transmitter and TRU-03 receiver with fail safe device are included. This entry was posted in Event Report, Future Releases on February 2, 2007 by admin. This entry was posted in Event Report on February 2, 2007 by admin. 26522 1/48 German Sturmgeschutz III Ausf.G 5th Pz.Abt. 53955 5-Spoke Metal Plated Wheel w/ Cemented Radial Tire 2pcs. 53956 10-Spoke Metal Plated Wheel w/ Cemented Radial Tire 2 pcs. This entry was posted in Future Releases on February 1, 2007 by admin.